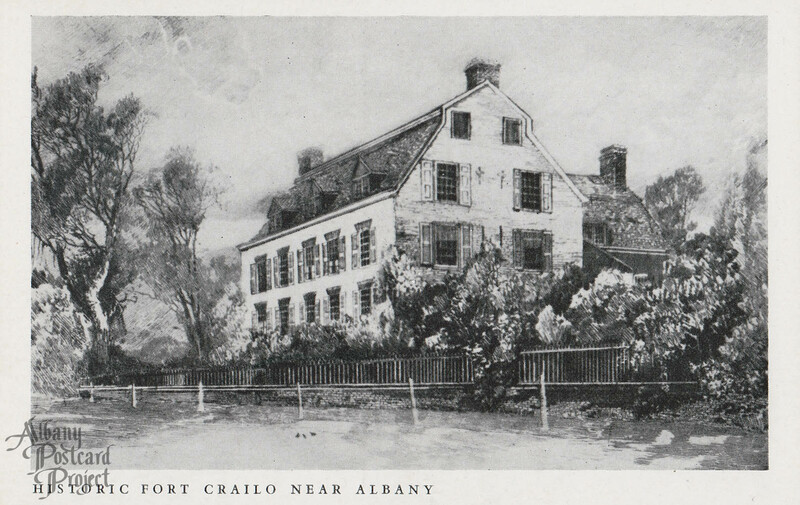 Postcard Notes: The original units of Fort Crailo supposedly date from 1642 and 1659. It attained its present general appearance in the 18th Century. Here “Yankee Doodle” was written. This old Van Rennselaer house in Greenbush across the river from Albany is now a state museum.